The subtropical region of Asia, specially India, Bangladesh and China is most popular for Jute. 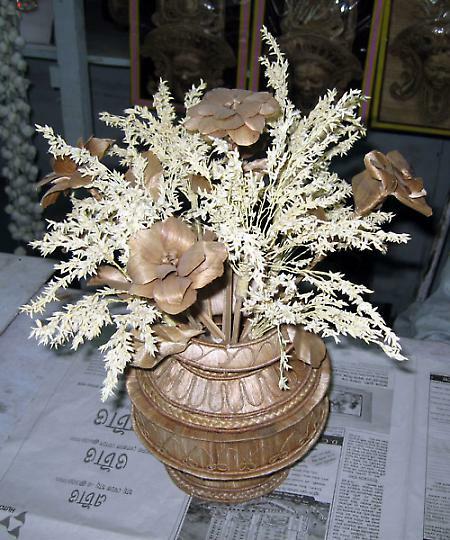 Jute craft is most popular in this region and is derived from the fibre of a reed like plant. The warm humid climate of West Bengal with plenty of rainfall is best suited for this plant. The plant grows to a height of 3-4 meters and takes upto six months to mature. Jute is the second most popular natural plant fibre and is available in abundance. Once the plant is ready for harvesting, it is cut very close to the ground and left in the ground for a day or two when the leaves fall off. The cut plant is then absorbed and dipped in water to separate the fibre from the plant. This process is known as retting. The, thus separated Jute is dried and given various forms. The fiber is knit into threads. Sometimes the threads are weaved to make rags and cloths. The cleaned fibre, the threads and the rags all are used to make beautiful craft products like the bags, rags, carpets, hangings, footwear, coasters, jewelry, show pieces, etc. Some very fine quality jute is also used to make furnishing material and dresses.